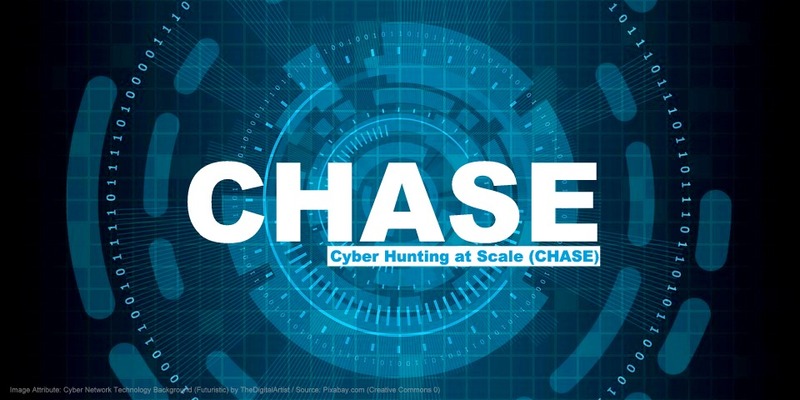 On August 7, 2018, The Defense Advanced Research Projects Agency (DARPA) has selected BAE Systems to develop data-driven, cyber-hunting tools that detect and analyze cyber threats to help protect extremely large enterprise networks under the program named Cyber Hunting at Scale (CHASE). Collectively, Phase 1, 2, and 3 of the contract is valued at approximately US$ 5.2 million. According to the company's press release (dated August 7, 2018) - "BAE Systems' subcontractors and research partners on the CHASE program include Digital Operatives, Dr. Ruslan Salakhutdinov from Carnegie Mellon University, and Dr. Farshad Khorrami and a team from New York University. BAE Systems’ work for the program will be performed in Arlington, Virginia." disseminate protective measures both within and across multiple-enterprises. It will use high-end system automation, advanced "threat detection algorithms" and a "new caliber of processing speed" to analyze the output which may include thousands of alerts and false positives per day which are often cannot be verified due to a lack of processing capacity in the existing "commercially and non-commercially" domain. "Threat detection algorithms developed under CHASE may be tailored to characterize and react to specific classes of threats in the context of different data types and data sources. Additionally, these algorithms may work in concert to determine probabilities of the reality of threats, as well as indicate requirements for additional data that should be collected." DARPA CHASE Program Manager Jennifer Roberts said in a written statement. Earlier in June 2018, DARPA had awarded BAE Systems a US$ 4.2 million software development contract that models political and military conflicts around the world. The software is called Causal Modeling for Knowledge Transfer, Exploration and Temporal Simulation, or CONTEXTS. Which can be assumed to be an extension of 2014's US$ 79 million DARPA contract for BAE Systems to develop latter's Phase 2 of Insight program. 1. A US$ 13.1 million contract to demonstrate a new, cost-effective optical seeker for precision-guided munitions (May 2018). 2. A contract valued at US$ 12.8 million - Develop an innovative space evaluation and analysis testbed to support the development, integration, evaluation, and analysis of advanced space enterprise command and control (C2) tools and capability technologies (November 2017).